Granny never got to see me make granny squares. What a wonderful, crazy idea you got! Same here! 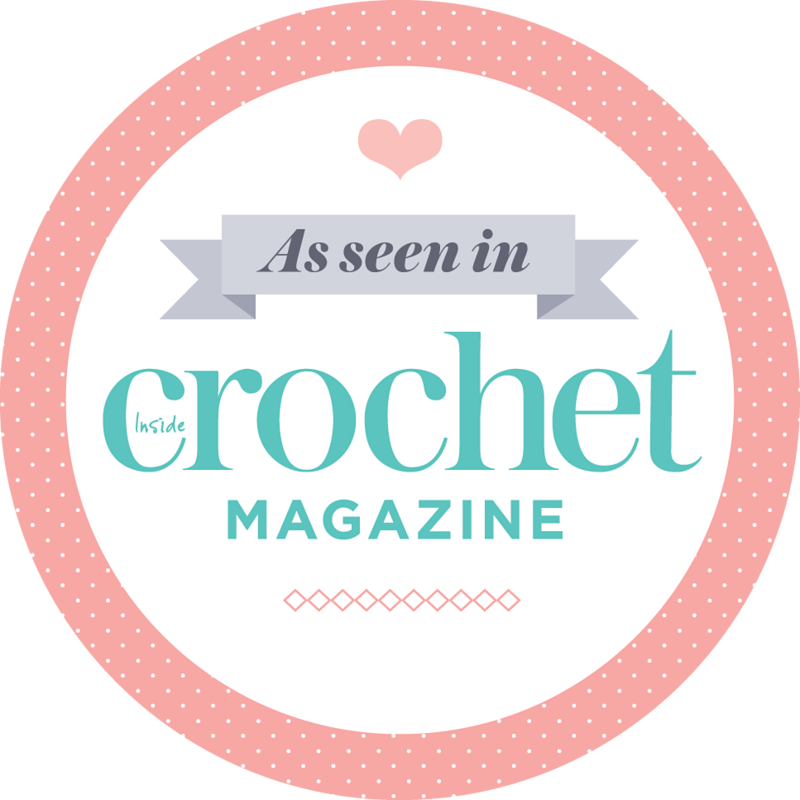 Both my grans would have loved to see met crochet and knit. Luckily my mom sees it ……..and I bet she likes it! You’ve got such a nice blog! Nice to find you via blog week. I think your picture says it all, it’s very strong. Thanks Suzanne! I also found some new blogs during blog week. what a sweet post, and lovely tribute to grandma. Two photos, two headings and two million thoughts captured in one post. Love it! very very strong narrative. Thanks for sharing your lovely picture. I’m glad I found your blog through KCBW!!!! Your granny looks like she was a fun lady!!! 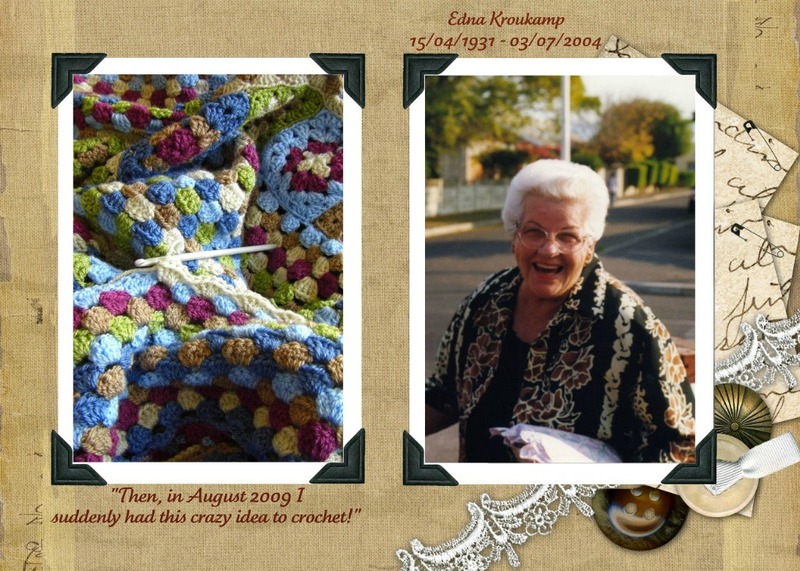 Adorable post – Ouma would have loved your crochet projects. Aw, how sad and sweet at the same time. 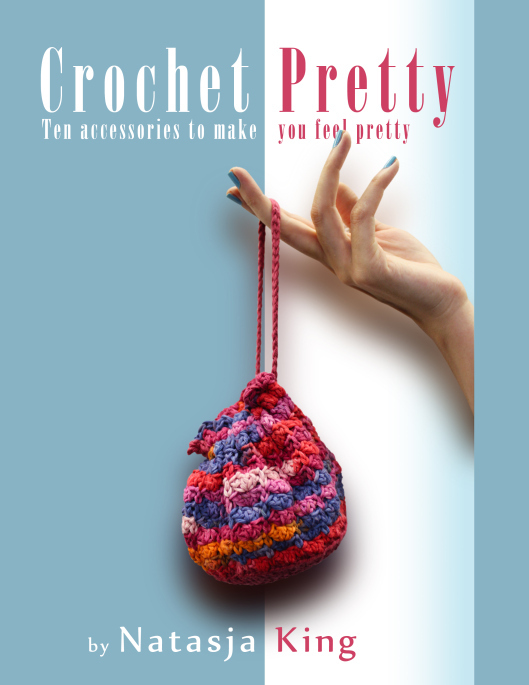 My granny taught me to crochet. Thanks for letting us see yours. I’m sure she’s watching you and loves your crochet squares!! They look great! That is precious. I love your banner, too! It is why I named my project site Grandmother’s Legacy, because it is important that these people passed on these skills or inspired us to do what we wanted with our lives and our art. Great photos. She’s watching down upon you from above and no doubt very proud.